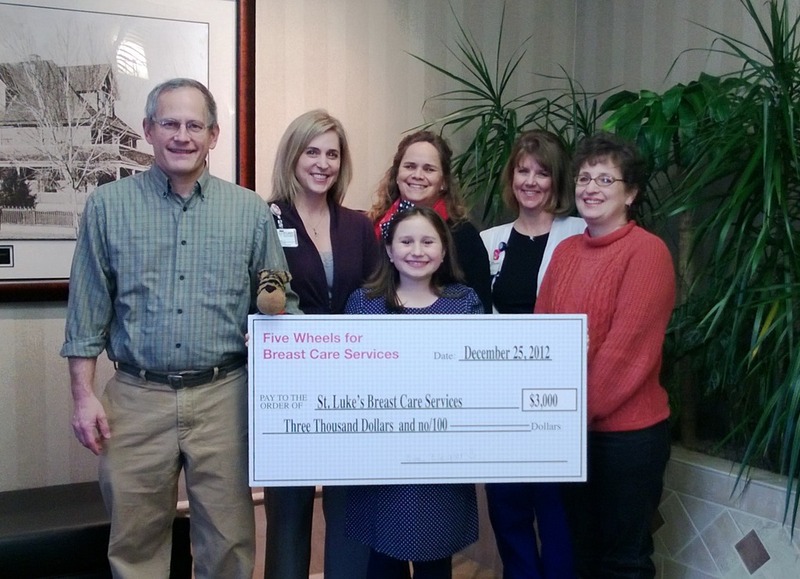 Last night Zoe presented the really big check to the St. Luke’s Health Foundation. 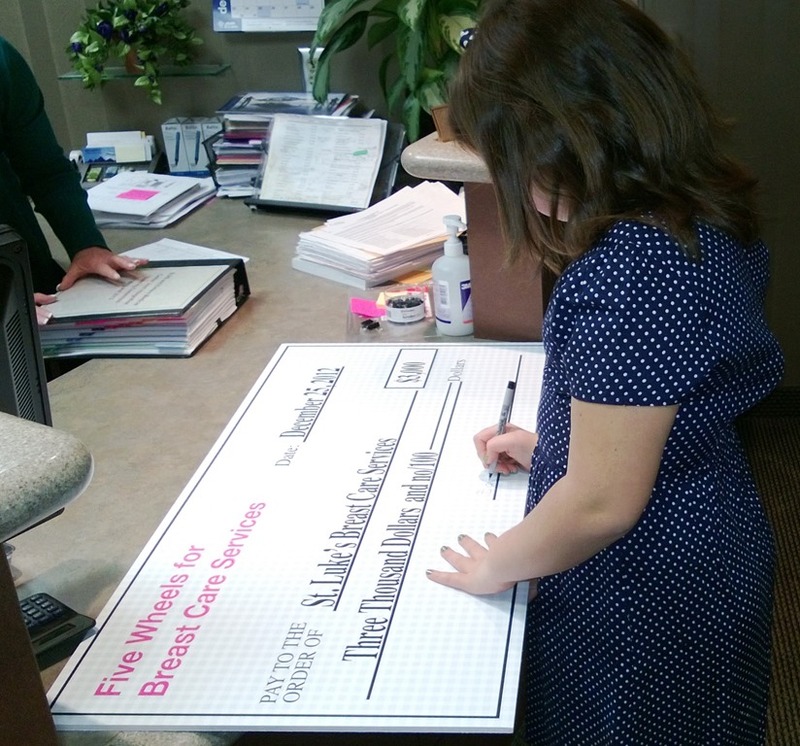 She was beaming through the whole thing, we’re proud of her desire to help others. Even though mom and dad helped with the details, the charity was her show. 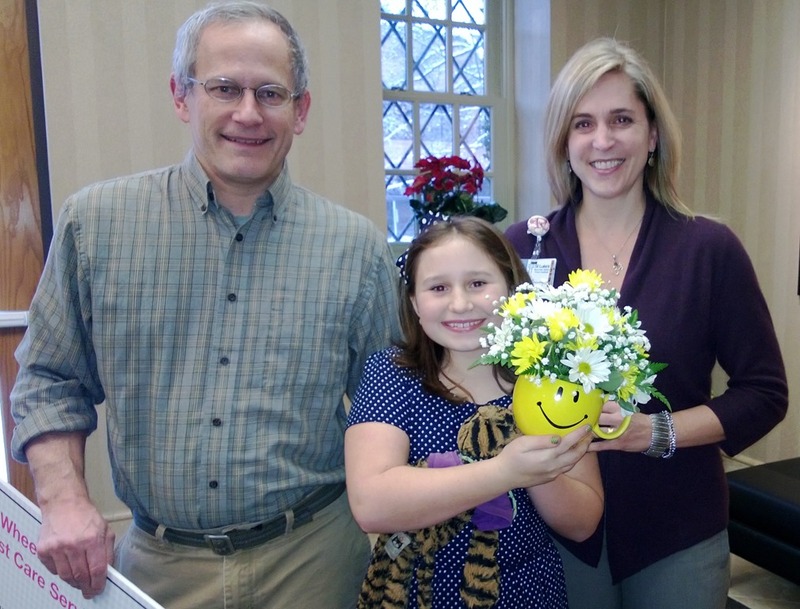 The folks at St. Luke’s presented Zoe with a flower bouquet in a smiley-face container which was well received. You can’t quite see it on the check but Zoe signs with a smiley face these days . An update on the inspiration for the charity, Zoe’s Aunt Muffy (aka Kellie): We just got back from a week with Lisa’s family in West Virginia. Kellie is finished with her radiation and chemo treatments and is feeling a lot stronger. And her hair is growing back! It was great to see her and the rest of Lisa’s family. Zoe, this gift is inspiring. A hug and high-five to you for your thoughtfulness. We are proud. And BTW, you look marvelous and your P’s do too! That brightens my day! Way to go, you two. Dear Zoe, We are so proud of you. Your thoughtfulness is truly remarkable for someone your age. Also very happy to hear that Kelli is recovering from her chemo and radiation. Much love, Grandmother and Granddad. Congratulations Zoe. You rock. It was so great to see you here. Can’t wait to visit you in Idaho again before long. Lots of love.